Despite Jenna’s tragic passing her legacy lives on. She will always be a shining example of how anyone can make this world a better place. 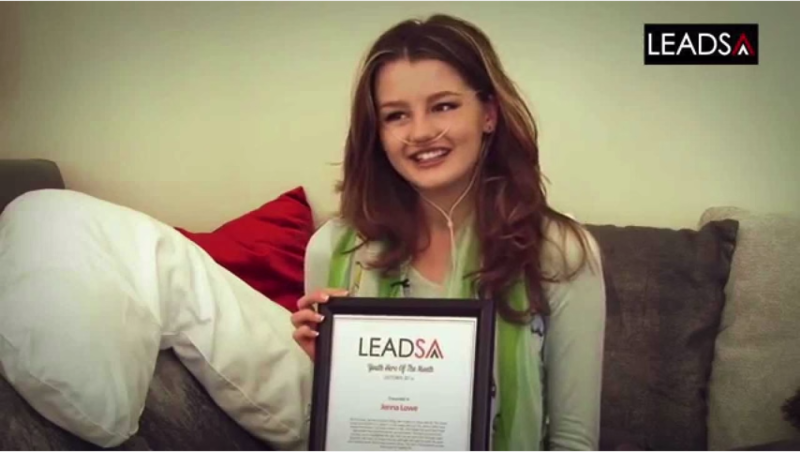 So please join us in supporting her family and listening to Stuart Lowe talking about Jenna’s Western Cape Lead SA Youth Hero award. As a regional winner Jenna is now a finalist of the national awards, to be announced on the 15th of August at Lead SA’s #Changemakers conference in Johannesburg.